Why is it that the New York Giants show continued faith in Eli Manning, even over the last couple of seasons? Is it because the quarterback is still good enough to meet the standards of the NFL? Is it because they don’t have another option and the safest route right now is to stick with Manning, and not unsettle the only starting caliber player that the Giants have at the position? Or is it because of sentimentality over Manning’s earlier career with the team, which had some much better years? 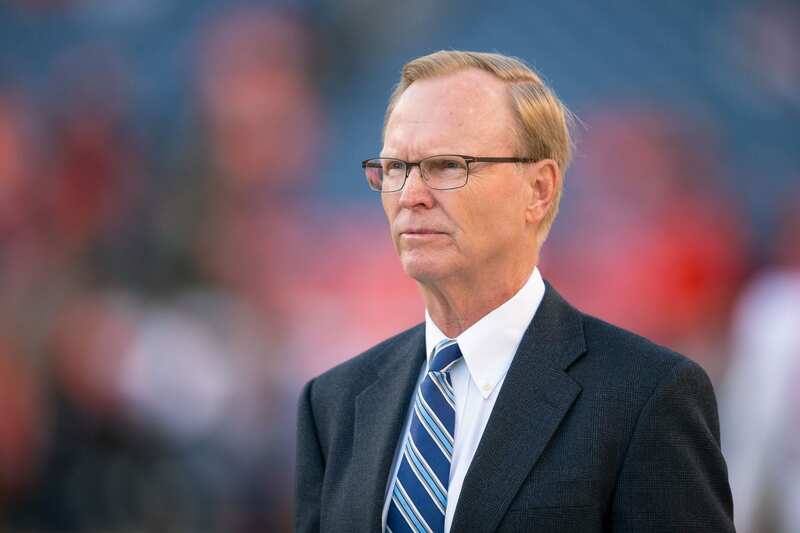 If you ask co-owner John Mara, the answer would definitely not be sentimentality. Mara rejected those claims this week and claimed that despite being sentimental about Manning, those sentiments don’t play into the team’s football decisions. But is it really realistic to say that sentiment isn’t one of the factors for Manning being the highest paid player on the team despite not delivering the results expected for that price? It’s true that everything can’t be blamed on Manning and that the team isn’t going to make the playoffs just by virtue of having a new quarterback if a change is made, and it’s also true that quarterbacks in general make more than other positions, but it’s hard not to wonder if the Giants could be spending their money better elsewhere. Especially when the rest of the roster doesn’t look like it’s in a state to let Manning make one last run. Rather, it’s a rebuilding year and Manning is one of the last pieces of teams from days gone by. Whether or not Manning is being overpaid because of past sentiments, however, isn’t the most relevant thing right now. It’s too late for the Giants to make a change to their plans, as Manning has already collected his roster bonus. They seem to have made their decision, and that decision is to go ahead and stick with Manning as starter for at least another year. We’ll all find out if that decision is the right one or not when the season begins, and we can see just how much Manning can do with the roster that the Giants have right now.